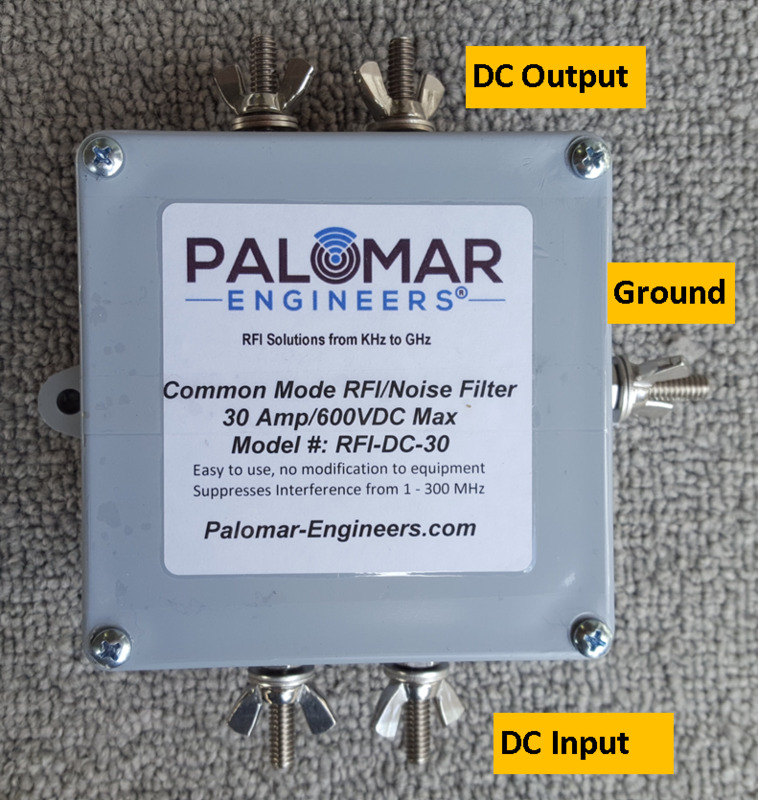 The RFI-DC-30 is a common mode noise filter for DC powered equipment up to 30 amps and 600 VDC at 105 degrees C and provides effective dual suppression of common mode current with individual chokes on the positive and negative cables in the HF frequency range from 1-61 MHz (beneficial up to 160 MHz). 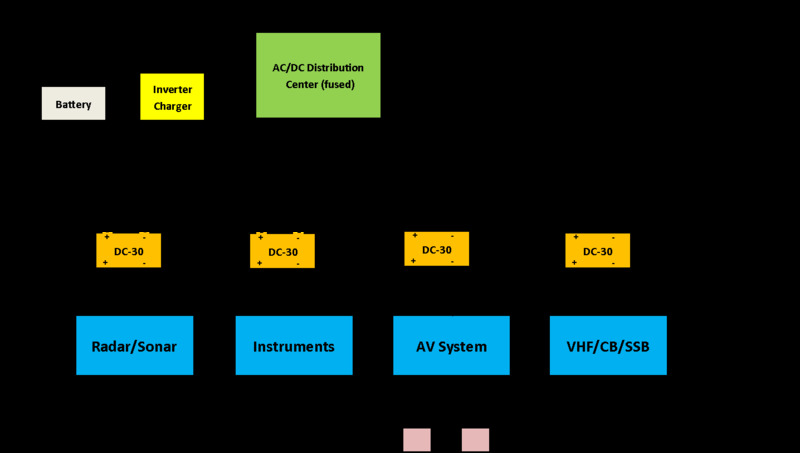 Very useful for suppressing noise from generators, inverters, battery chargers, solar panels, wind generators, and other noise producing devices sharing the same DC power bus. Simple to install between noise source and noise victim without any modifications to either device. The enclosure box is a PVC 4″ x 4″ x 2″ weather resistant enclosure with 1/4″ stainless hardware for ease of connection to DC voltage circuits and (optionally) to ground for greater attenuation of the common mode current present on the DC positive and negative lines.